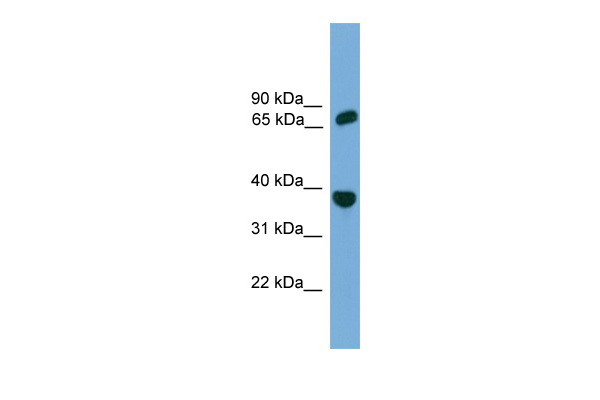 POT1 polyclonal antibody (A01), Lot # 060524JCS1 Western Blot analysis of POT1 expression in MES-SA/Dx5 ( Cat # L021V1 ). Western blot analysis of POT1 in HeLa nuclear extracts ( 25 µg ) with POT1 polyclonal antibody ( Cat# PAB12064 ). Western blot analysis of POT1 expression in HL60 (A); HeLa (B) whole cell lysates. Detection of POT1 in HeLa nuclear extracts (25 ug) using anti-POT1 (1:500). ECL detection 1 min. Western Blot analysis of Hela whole cell using Anti-POT1 [M1-P1H5]. Immmunoflorescence analysis of Hela cells using Anti-POT1 [M1-P1H5]. 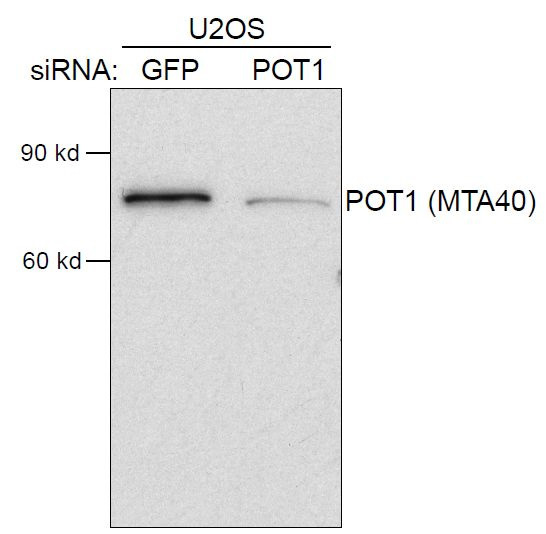 Western blot using Anti-POT1, Polyclonal [MTA40] with siRNA KD of GFP (irrelevant RNA) and POT1.